Fitness session – Healthy Body and Mind! An enrichment opportunity for all Year 12 students and any Year 13’s who do not have lessons or exams on these dates. 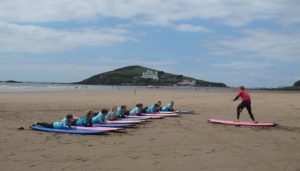 Cost = £58 which includes 3 x 2 hr surf lessons with hire of board and wet-suit. Come and try something new and have fun! Ask Mrs Milsom for more details.